The EAP Broadcasting Company (EBC), part of EAP Holdings PLC recently re-launched Ran FM to cater to a wider audience of listeners across Sri Lanka. 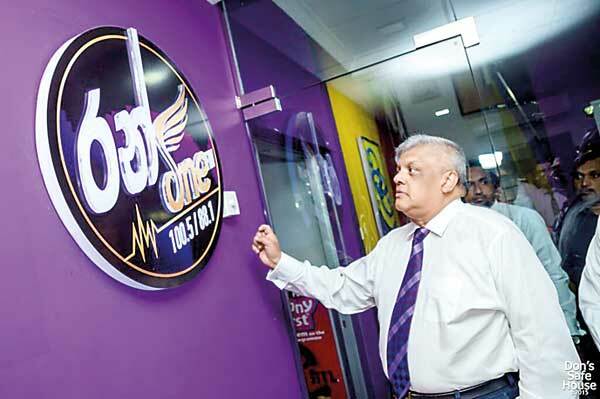 Now called RanOneFM, the well-loved Sinhala radio station was re-launched in the presence of Mano Tittawella - Chairman/Managing Director of EAP Holdings. Also present at the event were Anil Meegahage – Senior Executive Vice President, EBC, Bertal Pinto-Jayawardena – Executive Director and Chalaka Gajabahu – Chief Operation Officer, EBC. The re-launch was part of RanOne FM’s ongoing efforts to go beyond the realm of entertainment and truly connect and engage with listeners at a more heartfelt level. Bringing together the best of old and new, RanOne FM will now cater to the musical preferences of listeners across generations, giving them the chance to appreciate the very best music from different eras. The new programming content will resonate with listeners of all ages, with varying tastes and will offer a blend of classical favourites and modern hits. Further commenting on the launch, Chalaka Gajabahu stated, we at EBC understand our customer requirements and strive to give them the best music experience by taking radio broadcasting to a new level that will offer music lovers a supreme experience which is second to no other. With a variety of programmes that are designed to seamlessly complement the lifestyles and preferences of its listeners, RanOne FM will focus on providing the right content at the right time. Whilst ensuring that delivering world-class entertainment remains the station’s primary objective, RanOne FM will also concentrate more on engaging listeners and fuelling their interests and intellect via memorable and stimulating content. EAP Broadcasting Company Ltd, a member of the EAP Group of Companies, has gained deserved national recognition and praise for much of its work and has earned a reputation for delivering innovative and pioneering teledramas, radio programmes, news broadcasting and much more. EBC was established in July 1992 and operates leading radio and TV channels RanOne FM, Shree FM, E FM, Swarnavahini and ETV.